Josh Smith signs with the Houston Rockets. 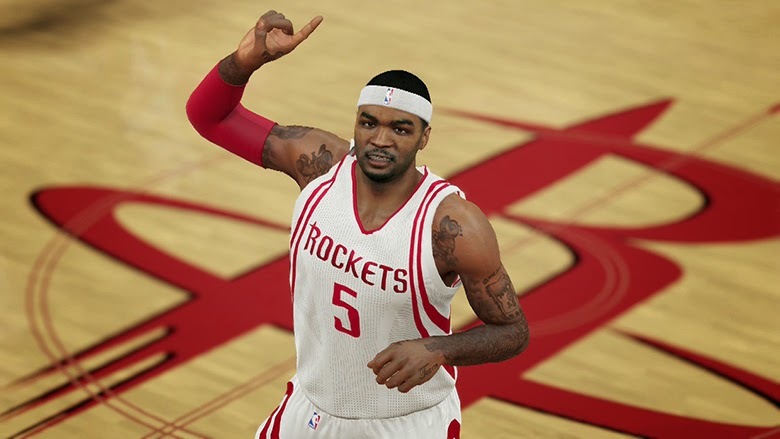 Today’s NBA 2K15 roster update includes updates for all injuries, lineups and rotations reflecting the most recent games. The signing of free-agent forward Josh Smith by the Houston Rockets, and the Phoenix Suns-Detroit Pistons trade of Anthony Tolliver for Tony Mitchell have been completed. Ratings up: James Harden, who's currently the league's leading scorer, is up to 93 overall. Jimmy Butler (85 OVR) and Jeff Teague (83 OVR) have also been upgraded. Ratings down: Those taking a hit include Kobe Bryant (85 OVR) and Dirk Nowitzki (88 OVR). Injury updates: Tony Parker has been activated, Anderson Varejao injured.